"Lil' Tumbleweeds" Too are the papers that tried to get away from the FQB round up. Don't worry we coralled them all and have them here to offer to you! These digital background papers are NOT included in the FQB "Lil' Tumbleweeds" Collection, so please don't miss out! 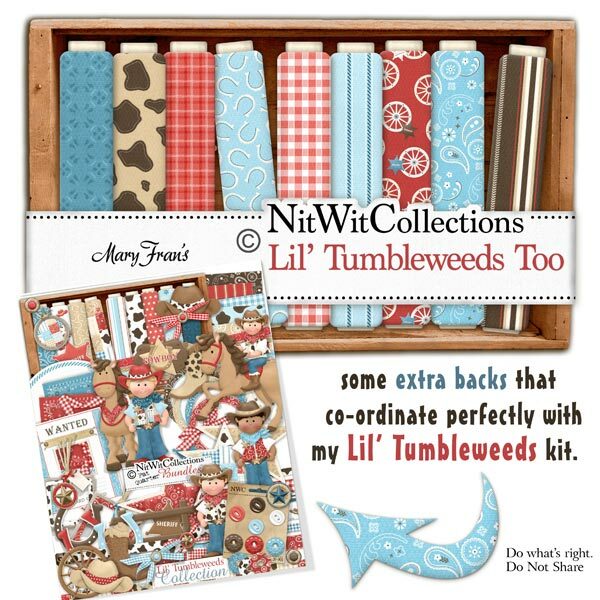 14 digital background papers that coordinate and colour match my "Lil' Tumbleweeds" Collection.